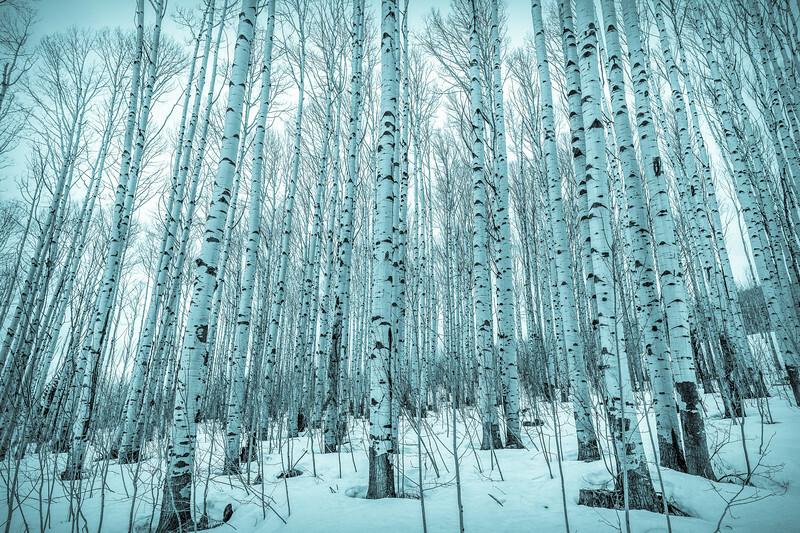 This is a stylized version of my image "Winter Aspens." The image was made using a Canon EOS 5D Mark IV digital body, a Zeiss Milvus 21mm f/2.8 ZE lens, at f/8.0 for 1/60 second at 100 ISO. The raw image file was processed using Adobe Lightroom and Nik Color Efex Pro 4. Copyright © Eric Glaser. All Rights Reserved.